San Antonio, Texas-based medical device company Invictus Medical has named a new member to its Board of Directors. Dennis P. Kane, who brings over 35 years of experience in the field of medical technology to the company, will help Invictus in its mission to develop technology that fosters healthy early developmental milestones for newborns. Working in the pediatric care industry since 2012, Invictus Medical is planning to bring new products to the market with an emphasis on commercialization strategies, focusing on novel neonatal products. The company has chosen Kane for their Board of Directors given his expertise in global sales, marketing of devices, pharmaceuticals and diagnostics. Kane’s experience has been formed in global companies, particularly in the fields of sales and marketing, including at Phadia AB, formerly known as Pharmacia Diagnostics. He was responsible for the construction and expansion of operations regarding disease management and pharmacoeconomics at both Pharmacia and Upjohn, Inc.
Kane has already served as vice president of both global and U.S. sales and marketing at Phadia AB, a company that commercializes reagents and systems for serologic testing in the field of allergy and autoimmune diseases. At Phadia, Kane was part of the development and accomplishment of their U.S. primary care expansion strategy to bring allergy testing into primary care. In addition, he is also a member of the Aerocrine AB’s Board of Directors, a Swedish company specialized in the global commercialization of instruments to measure nitric oxide. Mr. Kane is also a member of the Board of Directors of Armune Bioscience, Inc., a U.S. company dedicated to the development of novel oncology biomarkers. 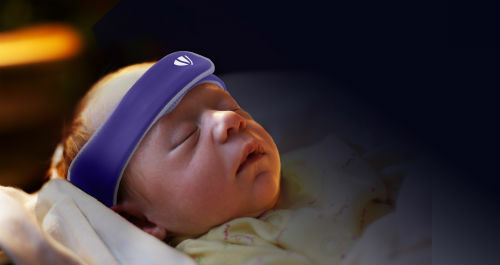 Invictus Medical is planning on launching an extracranial pressure relief device called GELShield, designed for newborn babies to help prevent deformational plagiocephaly (DP), a cranial deformity caused by repeated external pressure to one area of the head. GELShield is the company’s first product and has already received approval from the U.S. Food and Drug Administration (FDA). Additionally, the company recently raised $3.8 million in Series A funding, and is now planning on conducting a Series B funding round during the third quarter of 2015.